Are you bored with the default Google Chrome design and looking for a change? 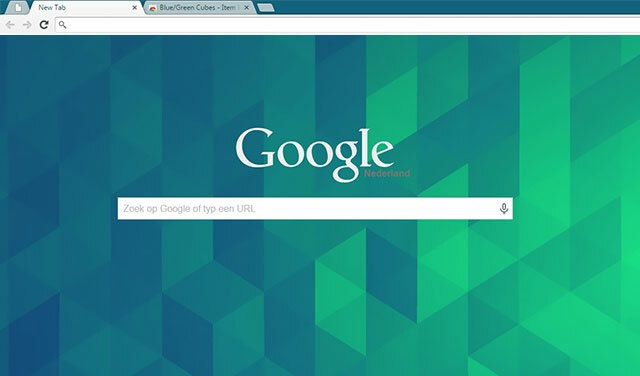 We have found some of the best Google Chrome themes that would brighten up your experience. No doubt the Google chrome is the most used Web Browser in the lane. 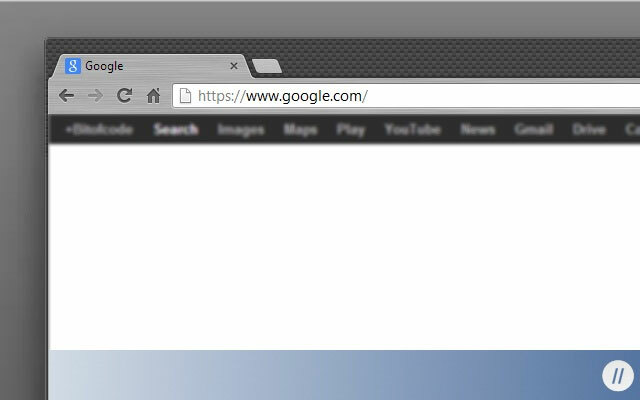 Among all browsers, Google Chrome is the lightest weighted browser and has a minimalistic design. Even the surfing and Downloading speed are outstanding. Among all these, customization is the best option given by Google where you can add themes, games, and extensions from the Chrome Web Store. Google Chrome offers a variety of customizations, which solve the dull and ordinary look of your browser with chrome themes. 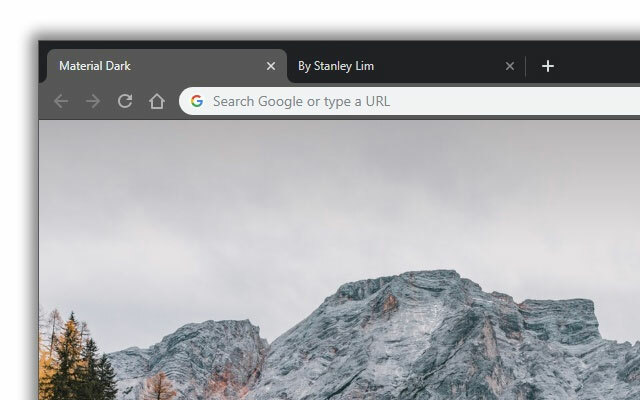 In simple words, Chrome themes are the type of extensions which helps you to change your browser’s overall appearance. It helps to enhance your daily experience with a new fantastic look for your browser. 0.1 Are Google Chrome Themes Safe? 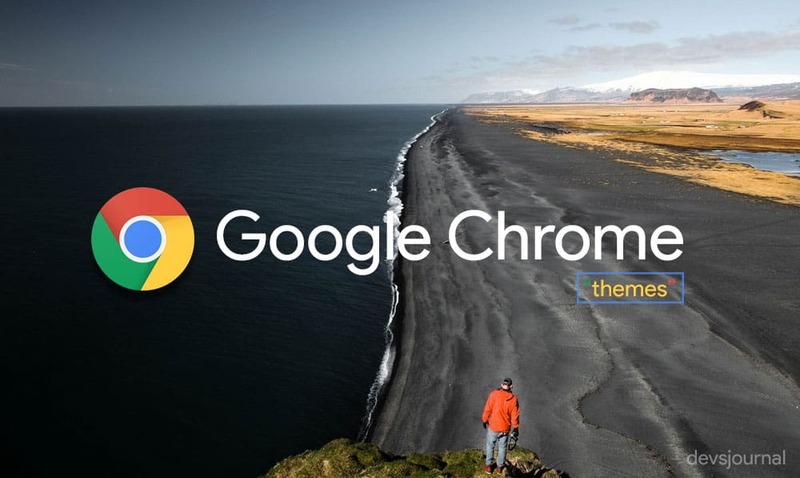 1 20 Best Google Chrome themes you must try! 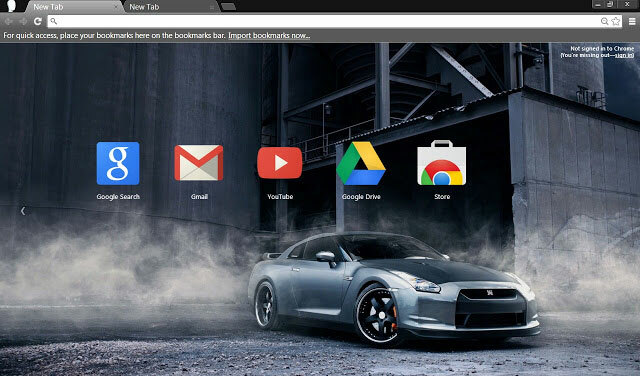 Are Google Chrome Themes Safe? When you install a Google Chrome extension on your browser, you always need to be very careful because extensions can change the content that your browser renders. Themes are just a single.JSON file. I still advise sticking to themes from the Chrome Web Store to be more safe, though. 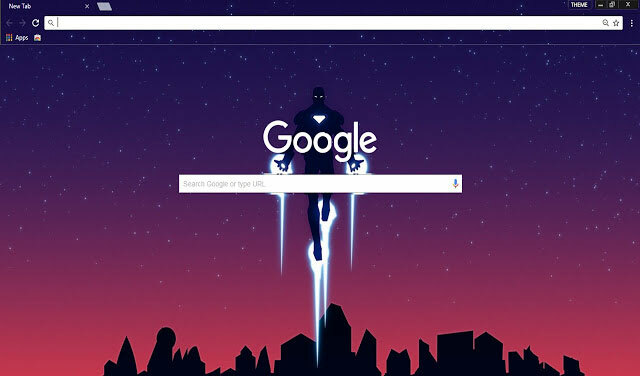 20 Best Google Chrome themes you must try! It is a minimalistic dark material design inspired theme designed by the developer Stanley Lim. This minimalist theme tries to follow material design principles to the most, but it won’t be able to change the interface because of the limitations placed on Google themes. Around 485K users present around the globe loved this theme. The Material Dark theme got the rating of 4.6 out of 5 from 2158 users. The new updated version 2.0 fixed the previous bugs and issues for better appearance and more consistent colouring for chrome design. I’ve come across different dark themes, but all of them had something which bothered me. I love that this theme does not have anything disturbing or distracting and the signs are visible and readable. As for me personally, I could do with a little darker colour; however, that doesn’t rob this theme of the first place in my ‘theme ladder’. Better appearance with new chrome design. Easily visible all Extension and tab icons. dwell the narrow path surrounded by deep dark forest, it seems to provide scant sunlight to enter the area. Further, the mist is successfully enhancing the density of the theme and symbolising seasonal effects. Around 980k users loved this theme and have been using it, all around the globe. The Into the Mist theme got the 4.7 rating out of 5 from 11k users. The theme comes with the size of 2.2MB which is easy to download and install on your Google Chrome browser. I didn’t know I could even change themes before I started messing around with the settings, saw this pic and instantly fell in love… It has a beautiful dark, and gothic feel to it and the black and white contrast looks awesome. Beautiful dark and gothic feel. Black and white contrast looks awesome. This theme presents the nightlife of the New York City, the Capital of the world, the city of Dreams, the Empire city and what not! New York city is an absolute favourite destination of every other person on this earth. The developer Thee Pupil has designed the Night Time in New York City theme. Around 535k users loved his work around the Globe. The theme got the rating of 4.6 out of 5 from the 17k users. The theme comes with the size of 3.86mb which is easy to install. THIS one adds a nice black to your bookmarks and tabs, and since I use Chrome Momentum (awesome), I already have a beautiful (hi-res) picture of somewhere different in the world every day. Relaxing and easy on the eyes. Simple and stunning, looks awesome. This theme is clean and minimal in appearance. It is a cool theme with elements of joy emitting from light touches of colour emanating out the lavishly stunning image. 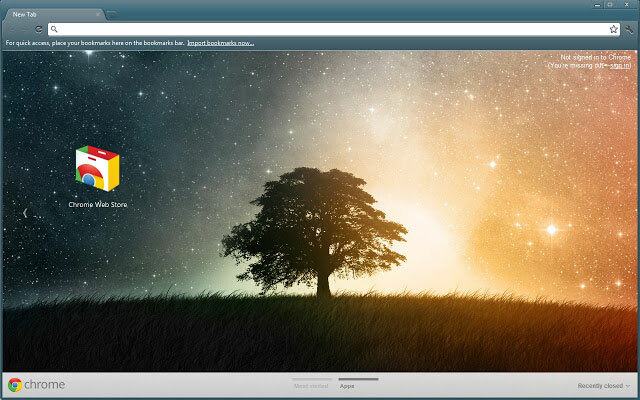 The developer Jeremiah Megel has designed the Lone Tree theme. Around 474k users loved his work around the Globe. The theme got the rating of 4.6 out of 5 from the 6k users. The theme comes with the size of 2.87mb which is easy to install and use. Fantastic vibrant colours, and is also very calm and soothing. Pictures like this of a bright night sky are my favourite for screensavers even if they are computer made. Contrast of Day and Night looks amazing together. It is again a simple, beautiful minimalist theme in the list. 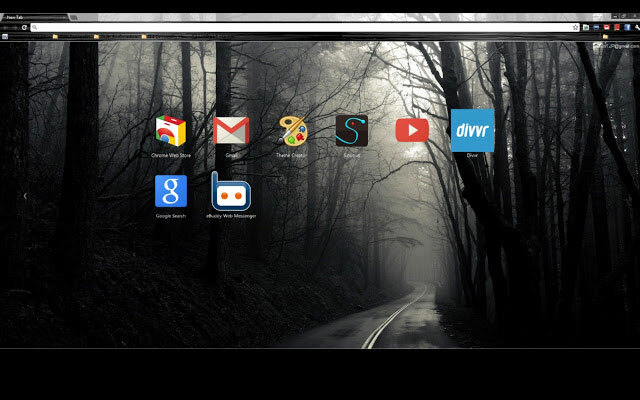 This theme consists of an overall black theme and a stunning metallic pattern on the tabs and address bar. It is an entirely minimalistic theme with great elements. It is simple and the stylish theme which allows you to work or relax on the network without straining on your eyes. The team of bitofcode.net designs the Black carbon + silver metal theme. Around 549k users loved their work around the Globe. The theme got the rating of 4.8 out of 5 from the 8k users. The theme comes with the size of 16.78kb which is easy to install and use. I love this theme. It’s so simple and easy on the eyes, and it looks great with everything else, which is one reason I love this theme.Another great thing about this is that it’s straightforward to see the buttons on the top right corner. Although there are many great things about this theme, I do have one small complaint. It is kind of hard to tell which tab I am currently on, which can be a bit annoying at times, but other than that, this theme has been my number 1 choice for a while now. Sleek, elegant and Minimalistic Theme. Silver grey color allows bookmarks easily seen. Color Contrast is easy on the Eyes. 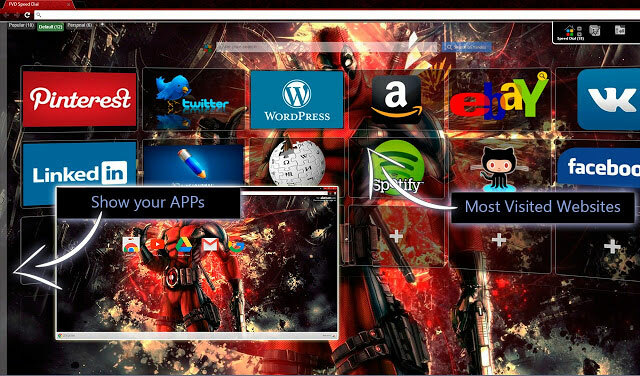 This theme Deadpool [FVD] launched after the release of the movie Deadpool. The fans would love to see the chunky character standing in front of them in a dark red & black mixed background wearing his suit. 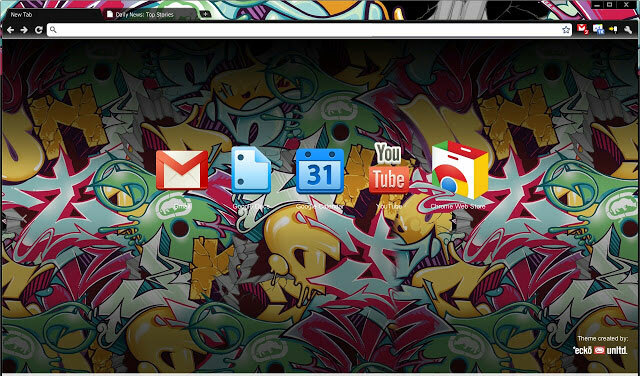 The theme comes with FVD Speed Dial with 3D new tab page. The team of coolchromethemes.com designs the Deadpool [FVD] theme. Around 265k users loved their work around the Globe. The theme got the rating of 4.6 out of 5 from the 2k users. The theme comes with the size of 1.82Mb which is easy to install and use. The coolest theme on here by far in my honest opinion and trust me when I say that too. The awesome style. Looks,colours & graphics. Totally off the chain hook & shelf. Be very proud of your excellent creative genius style. Peace. Colors and graphics are awesome. Also Read: How to bring back the “View Image” option in Google Image search. Either you are a Marvel fan or not, you are going to love this theme. If you like a melange of comic and minimalist themes, this Iron Man theme is your pack. The colours are muted and soothing, and the iron man floats at the centre, a sentinel guarding your browser. The designer ‘Sudarshan R’ designs the Iron Man-Material design theme. Around 174k users loved his work around the Globe. The theme got the rating of 4.7 out of 5 from the 1k users. The theme comes with the size of 1.57Mb which is easy to install and use. I do not consider myself – correctly- a Marvel fanboy, nor Iron Man either, but this.. makes me love it. The very best theme ever, even my girlfriend likes it haha, the excellent combination of colours and the hyperspace. Fantastic. Unique.And very serious instead of the theme colour. Sweet. I actually would like to donate some cash for this free theme! It worthy. Good combination of colors and hyperspace. If you are full of joy and love colours, then this theme is just for you. 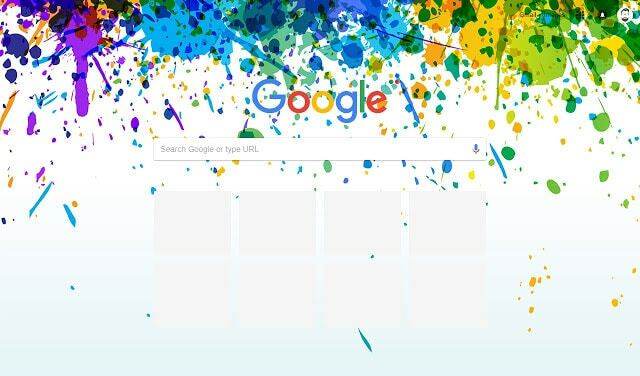 The theme features the colourful splashes on the background which seems entirely devastating and looks impressive on your Google Chrome browser. The new version of the theme gives you a better redesign for inactive tabs and a better resolution to the updated browser. The designer ‘Promideus’ designs the Colors theme. Around 195k users loved his work around the Globe. The theme got the rating of 4.5 out of 5 from the 2k users. The theme comes with the size of 3.59Mb which is easy to install and use. Compatible with new tab Design. Paint splatter background looks amazing. The Blue/Green Cubes is another minimalistic theme in the list. The designer used the blue and green cubes to lighten your life. If you are a fan of minimalistic pattern, then you are going to love this pattern design consisting of blue and green cubes. The designer ‘Thomas’ designs the Blue/Green Cubes theme. Around 354k users loved his work around the Globe. The theme got the rating of 4.5 out of 5 from the 2k users. The theme comes with the size of 1.45Mb which is easy to install and use. This is a fantastic Theme, it reminds me of the simplicity the tabs and favourites bar is readable while I do love ones where the tabs blend into the background it makes it too hard to read. It is a perfect balance. Simple, clean and Intrusive theme. Easily differentiate between tabs and favicons. Are you a sports car lover? Then, it is a perfect match for you with silver Nissan GT-R R35 in the background. This theme gives a fantastic feel while working on chrome. The theme comes with two aspect ratios of 16:9 and 16:10 respectively. It features the high resolution of 1920×1200. The team of ‘axl-g.com’ designs the Nissan GT-R R35 – Full HD – Axlg theme. Around 129k users loved their work around the Globe. The theme got the rating of 4.8 out of 5 from the 2k users. The theme comes with the size of 413 KB which is easy to install and use. It’s a high-def image of the infamous R35 Nissan GT-R that I can drool over every time I open a new tab or window in Chrome, why wouldn’t I, or any fan, like this or give it anything but five stars. I would like to see more though, maybe other colours, and some images of Godzilla in its natural habitat, such as a drag strip, at a car show/car meet with other GT-R’s, on the Nurburgring smashing another record, or an image captured in the middle of a power slide. Sure the wait/loading is a bit delayed, but I mean it took decades to lead up to this fantastic machine, and it was worth the wait in my opinion! Same goes for this theme, in my opinion, it’s worth the wait. Simple, clean and amazing background with Nissan GTR R-35. Large display of 16:10 aspect ratio . Recommended for sports car lovers. Another theme in the list of Car lovers, It is a modern car concept theme for your Google Chrome Browser with the stunning Lamborghini in the background. The resolution of the theme feels so realistic and high definition which makes you fall in love with the theme. The designer ‘Jallacy’ designs the Lamborghini Cherry theme. Around 101k users loved his work around the Globe. The theme got the rating of 4.5 out of 5 from the 1k users. The theme comes with the size of 4.56Mb which is easy to install and use. This is an excellent theme for car enthusiasts. If you’re looking for something to enhance the mundane default google page, this will suffice. 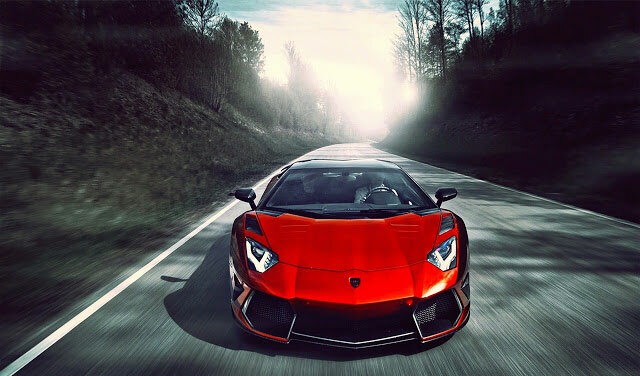 Simple and high definition background with lamborghini. Are you a frequent traveller? If yes, and not getting time for your next vacation then you need this Indescribable theme for a soothing experience. 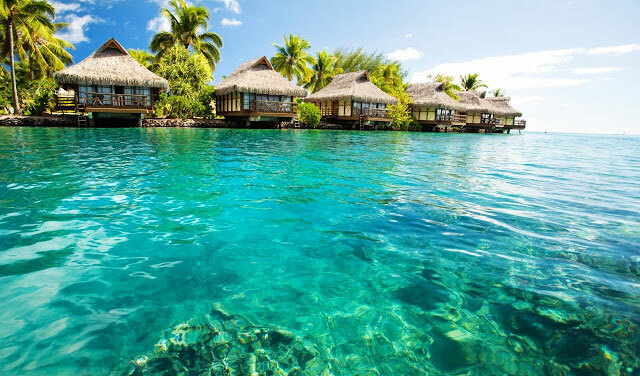 This theme gives a view of crystal clear water and sandy beaches just like your dream vacation destinations. It provides a bit of inspiration to take a break and experience your dream vacation in reality. The team of ‘atavi.com’ designs the Indescribable theme. Around 188k users loved their work around the Globe. The theme got the rating of 4.4 out of 5 from the 706 users. The theme comes with the size of 5.12Mb which is easy to install and use. This is the most beautiful theme I’ve ever seen, it makes me wish I could be there! Natural and tropical background with maldive islands . It seems very restful and peaceful. Recommended for tropical place lovers. Another fantastic theme in the list for the travellers, The Beautiful Landscape theme features the soothing background to the users. The two-tone tabs let you identify on which tab you are presently by turning it to a graceful grassy green in colour. 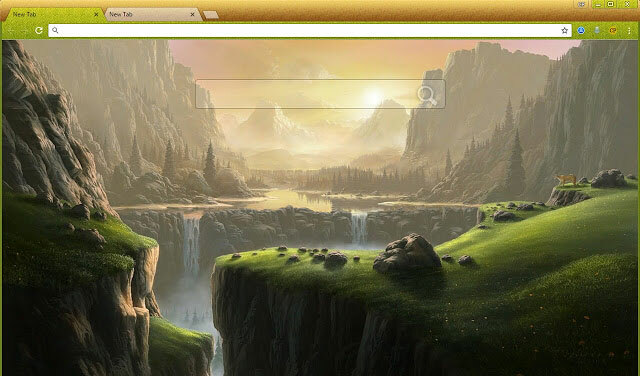 The team of ‘ChromePosta.com’ designs the Beautiful Landscape theme. Around 2k users loved their work around the Globe. The theme got the rating of 4.3 out of 5 from the 33 users. The theme comes with the size of 309 kb which is easy to install and use. I love this beautiful scene! Every time I get a new computer, I put it back on! Natural and peaceful looking background. Eye soothing scenery with beautiful view of mountains. The tabs and address bar is clean and readable. This theme gives a solely natural look to the user by providing the same real-life experience. 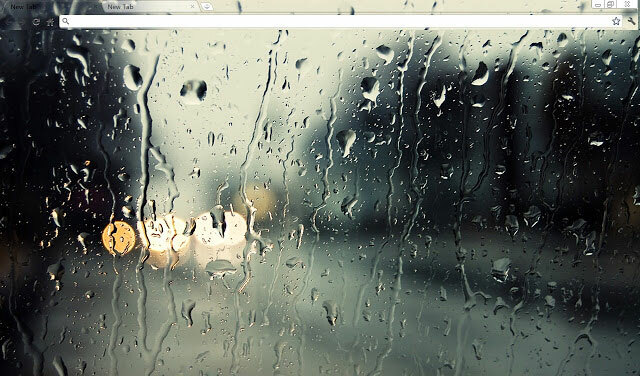 It is the best theme for a rainy climate; the users will feel like real raindrops are on their chrome screen. It is a perfect match for the user’s virtual world to its real world. The designer ‘Hay Hsu’ designs the Beautiful Landscape theme. Around 152k users loved his work around the Globe. The theme got the rating of 4.5 out of 5 from the 4k users. The theme comes with the size of 3.88Mb which is easy to install and use. Natural and mind refreshing background. Looks good and eye soothing. Beautiful and clear rain-drop view with calming effect. When we talk about animal lovers, mostly they end up with either a dog fan or a cat fan. 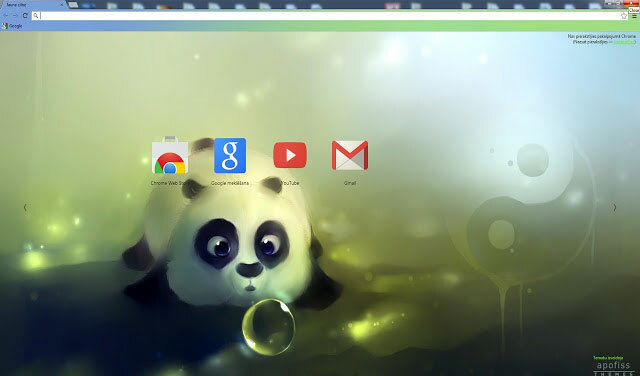 But, the theme comes with the baby panda which let you explore other animals and give a different and unique look to your Google Chrome browser. I’m pretty sure that you cannot avoid the cuteness of the panda in the theme. The designer ‘Apofiss’ designs the Panda Dumpling theme. Around 86k users loved his work around the Globe. The theme got the rating of 4.7 out of 5 from the 4k users. The theme comes with the size of 3.33Mb which is easy to install and use. The cheeks!!! They look so squishy!!!! It’s adorable to look at whenever there a new tab open. I imagine squishing the panda’s cheek (not in a way that would harm it). A cute panda baby in the background. You feel like its really in front of you. Read: How to enable the Hidden reading mode on your Chrome browser in Android. The theme features a white wolf gazing up at the dying Ice planet in the sky. The whole scenery looks impressive on the chrome browser. If you are a winter lover, then this theme is the best pick for you. 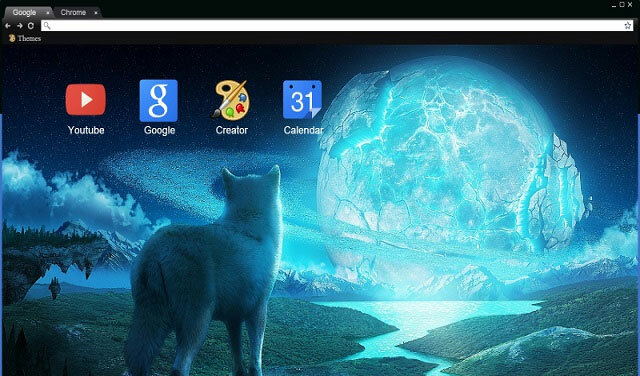 This wolf and the Ice Planet is a classic theme, and I’m sure you’ll love it on your Google Chrome browser. The designer ‘Areyouserial’ designs the Wolf and the Ice Planet theme. Around 126k users loved his work around the Globe. The theme got the rating of 4.7 out of 5 from the 6k users. The theme comes with the size of 3.69Mb which is easy to install and use. Awesomeness! I highly recommend this to anybody who loves wolves, dogs, or ice (or have a devious feeling)! It is fantastic to see all these comments, and I say this with all my heart, You will not regret this thing. A vibrant electric blue background. Great sense of scale and colors are simply beautiful. 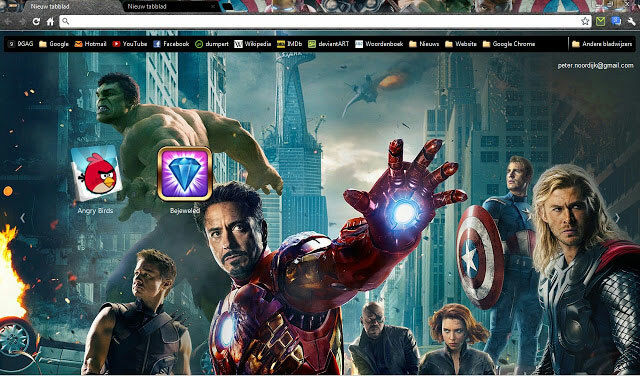 It is an action pack theme for the Marvel & Avengers fans. It features most of the Superheroes like Captain America, the Hulk, Iron Man, Thor, Black Widow and Hawkeye in the background. The Avengers theme is excellent for high resolution and light to use. The designer ‘Peter Noordijk’ designs The Avengers theme. Around 58k users loved his work around the Globe. The theme got the rating of 4.7 out of 5 from the 5k users. The theme comes with the size of 1.32Mb which is easy to install and use. This layout is flawless! I’ve had it for a long time, and every time I try to switch to another theme, nothing can match up! Appreciate the great work thank you. Great resolution with black tabs. All marvel heroes at one place. The theme Marc Ecko is very creative and astonishing to look. The design of curved patterns seems to be very imaginative. The people with the creative mindset would surely love this theme. The designer ‘Peter Noordijkl’ designs the Marc Ecko theme. Around 265k users loved his work around the Globe. The theme got the rating of 4.8 out of 5 from the 18k users. The theme comes with the size of 4.28Mb which is easy to install and use. At first I saw it all At; first I was extremely sketchy as to whether or not it would be good to have gangster graffiti as a theme, but I tried it and it looks fantabulous. The art has a polished and HD look, and it looks great on any laptop. The colours combinations are amazing, too. I recommend it to everyone and anyone! Polished and High definition art on theme. Great resolution and color combination is speechless. Recommended for creative mindset and art lovers. 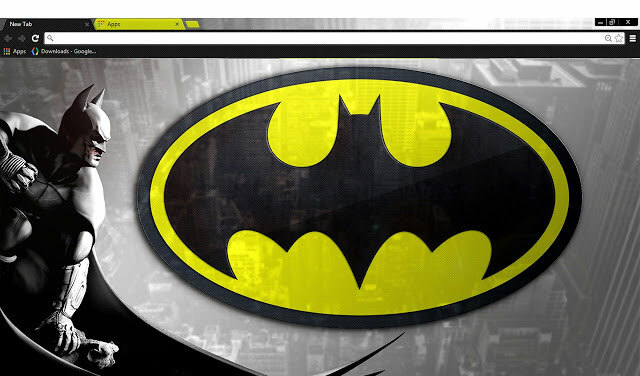 This theme is the love for the fans of Arkham games and the Batman series. It features the image of the Dark Knight from the Arkham City, The symbol of the Batman is there in the front and centre. The theme highlighted with 1920 x 1200 pixels resolution which looks impressive on Chrome browser. The team of ‘chromethemer.com’ designs the Batman theme. Around 13k users loved their work around the Globe. The theme got the rating of 4.5 out of 5 from the 715 users. The theme comes with the size of 3.19Mb which is easy to install and use. OMG BEST THEME EVER!!! The only reason why I gave it five stars is because of the logo. I don’t care that it zoomed in, I like the logo. Polished and High definition logo on theme. Great resolution with the batman in the left. It is an excellent fluid space theme designed by the Spaceix. Many users would love to admire and see the sky at night, and It gives the same feel on your browser. The background of the theme is conceptually splendid that you inevitably fall in love with the theme. The designer ‘SpaceiX’ designs the Planet SpaceiX theme. Around 15k users loved his work around the Globe. The theme got the rating of 4.4 out of 5 from the 210 users. The theme comes with the size of 10.1Mb which is easy to install and use. If NASA saw this in real life, everybody would either flip out, be completely amazed, or post it here on the Google Chrome web store. Thankfully, everybody chose the 3rd option. Light contrast of Gold and Blue looks amazing. Nice balance of colors and easy on the eye. Red and blue gradient on bookmarks and search bar is beautiful. 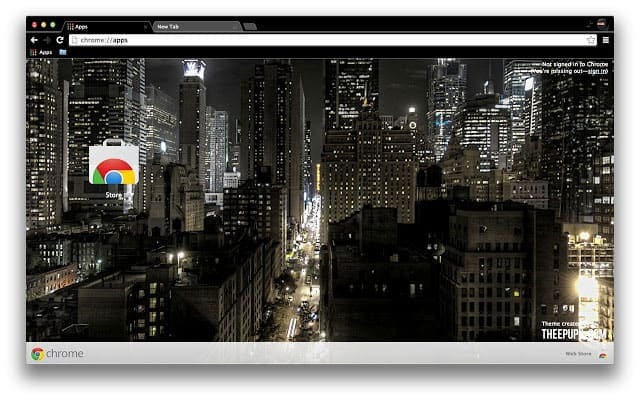 We have listed out some of the best themes for Google Chrome browser which you must try. The majority of this themes you choose, will provide ease and comfort to your eyes; it might not be the same for everyone as everyone has a different taste. Google has broad categories of themes like the Art Gallery, Enchanting Places, Sports, Nature, Superheroes, Space and many more. In the end, you are going to choose the theme which you like the most. 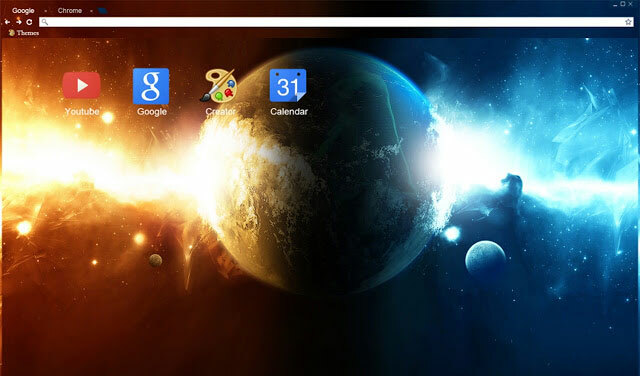 You can suggest more such elegant and best themes for Google Chrome and let other viewers acknowledge the same.